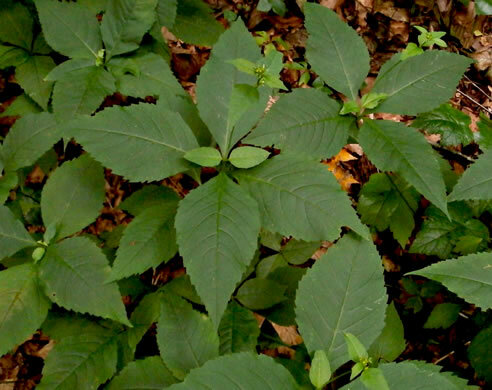 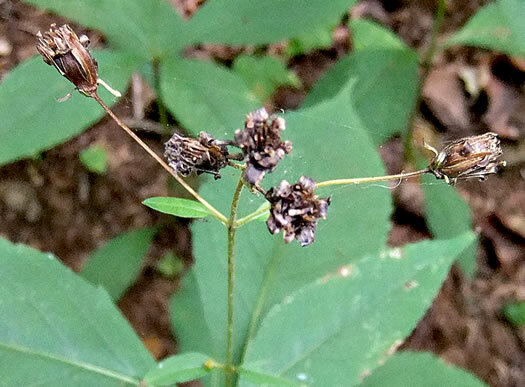 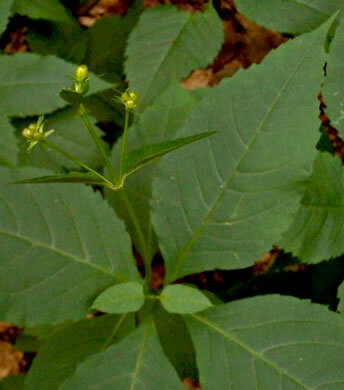 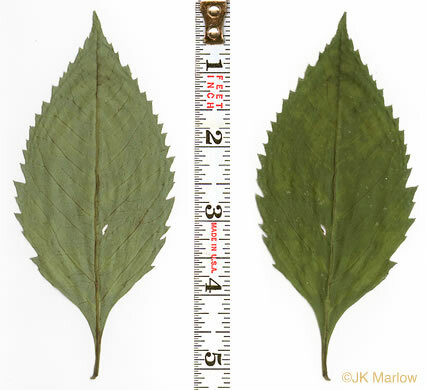 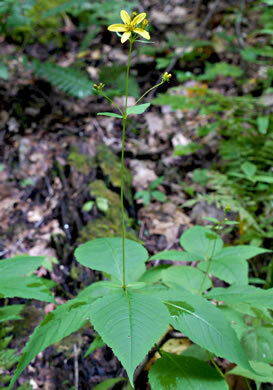 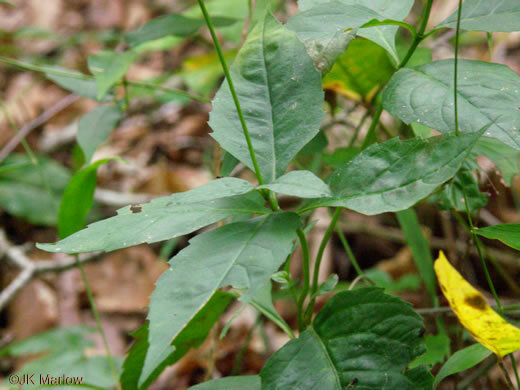 Leaves coarsely serrate, 1.5-4.5" wide, lance-ovate to lance-elliptic, per Guide to the Wildflowers of SC. 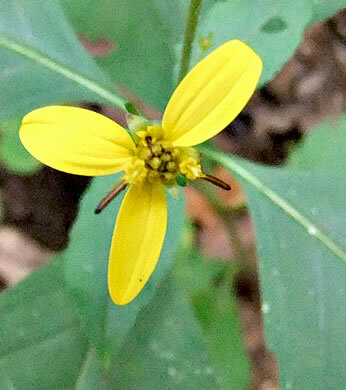 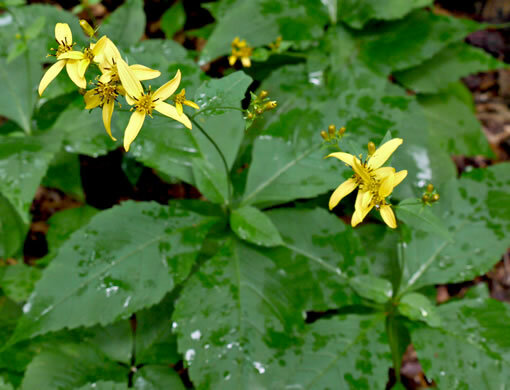 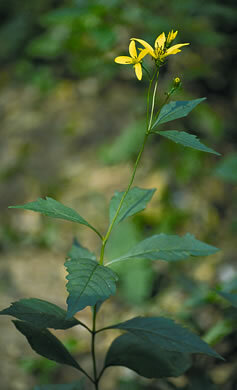 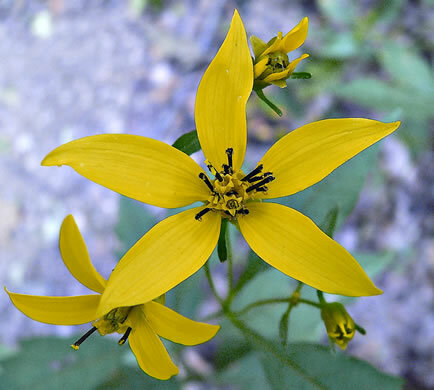 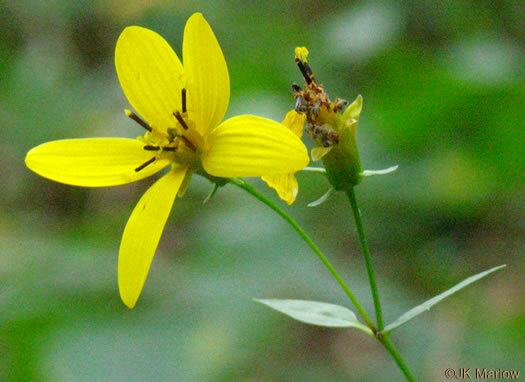 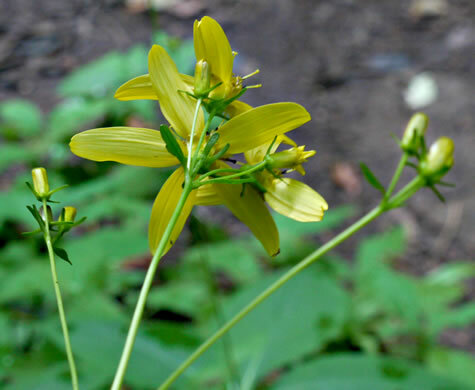 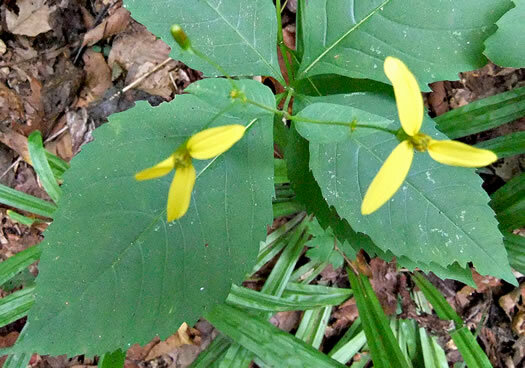 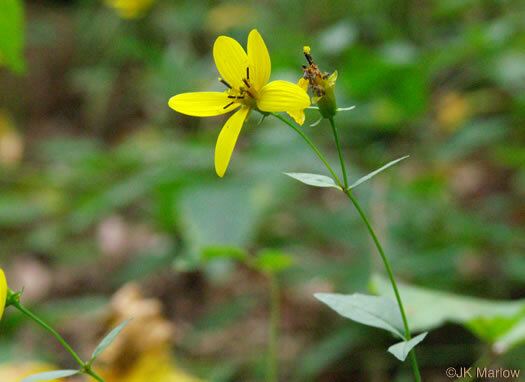 Rays yellow, 1-2cm long, not (or inconspicuously) toothed; disc flowers yellow, per Vascular Flora of the Carolinas. 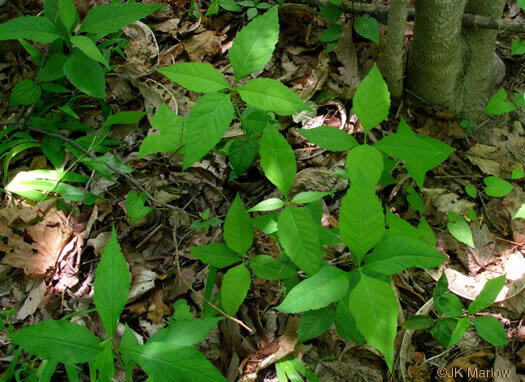 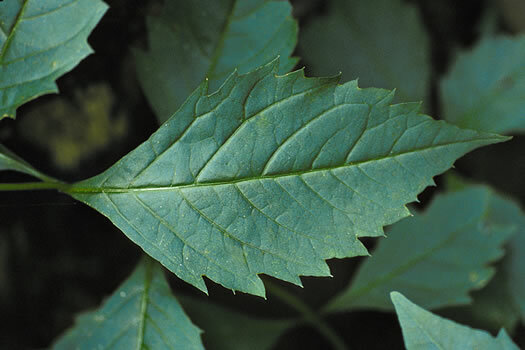 Leaf apex acuminate, margins coarsely serrate, base cuneate to attenuate, per Vascular Flora of the Carolinas.